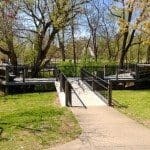 Looking for a beautiful park on the east side of town? 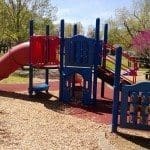 Look no further than Hermitage Park which is conveniently located between the Hermitage branch library and the Hermitage Recreation Center. Bring a picnic and you have a whole morning or afternoon of fun in one stop. The park has a large play structure with slides and climbing areas. It is partially shaded through out the day. 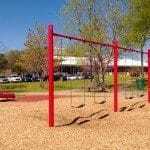 There are 2 full sets of swings – one for big kids and the other for little ones. Be sure to click on the pictures below to see them in full screen. The playscape at Hermitage Park has some shade at certains times of the day. In addition there is a paved walking trail and lots of room to run. When nature calls there is a porta-potty or you can use the restrooms in either the library or the recreation center. The park shares a parking lot with both facilities. When you get ready for a snack you have 2 choices. 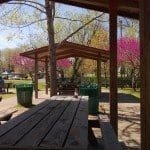 There are several sets of covered picnic tables or if you walk past the play area there is a shaded deck area with benches. 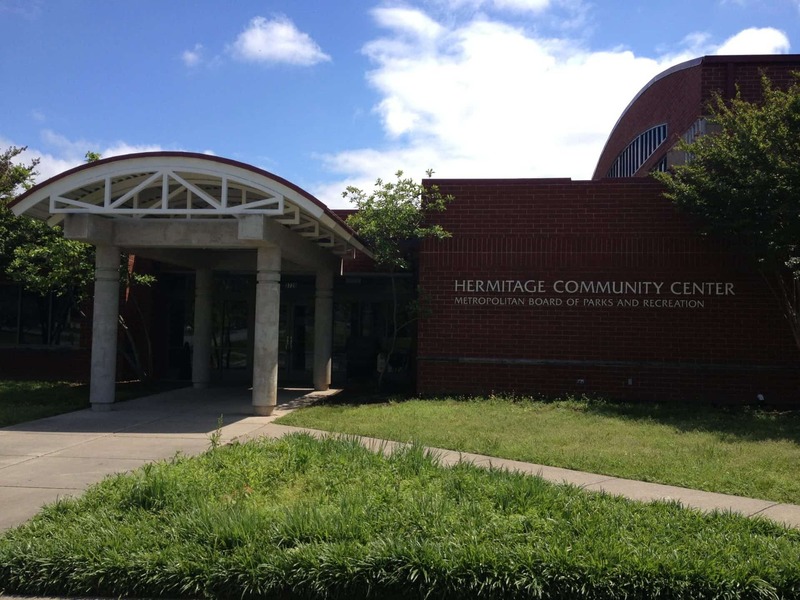 If you want to beat the heat (or the cold) make a visit to the Hermitage Recreation center. It is free to use. 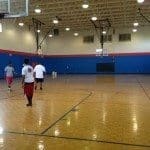 There is a large basketball gym where you can borrow a basketball to play. There is also a game room with pool and air hockey tables. 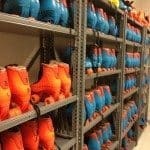 On Friday evenings there is FREE roller skating with skates provided. There are additional sessions in the summer. 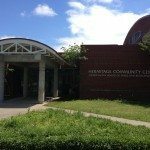 Next time you need to get out of the house spend a FREE afternoon exploring Hermitage Park and the Hermitage Recreation Center. I’m sorry you are having problems – try giving the main Nashville Parks and Rec department office a call at (615) 862-8400. 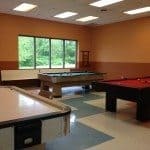 Can you reserve the Recreation center for events? How much is it and what are available times?